In 1977, I was too late for Vietnam. The war’s end made my draft lottery number obsolete. It was also too early to talk about the shortcomings of civil rights in America. But there was one moral eyesore in the world all good people could agree on: It was right–and necessary—to rail out against South Africa’s evil apartheid, the institutional racism of that country’s white minority. At my graduation–the one Bill Gates couldn’t attend–I wore a white armband in protest and displayed it proudly as we marched to receive our diplomas. We did have something to protest. “Divestiture” was the word of the day. Who knew what that meant really? But it was fair to ask the question: What were Harvard and other major universities doing investing in South Africa? Why were we helping to further such a racist policy? Indeed, what were American corporations doing buying into a country that was so morally bankrupt? That’s what Nelson Mandela gave boomers of a certain age. For many of us, he gave us something to get riled up about. Apartheid? It was the first time as adults we had something so big and worthy to be conscientious about. Mandela showed us the way. Some of my generation got their corporate graduate degrees and honchoed some of the biggest leveraged buyouts in U.S. business history. But many of us did take Mandela’s lessons to heart and tried to do some good in the world. Those of us who continue to speak out against racial injustice can still learn a thing or two from Mandela’s graceful, soft-spoken manner. He wasn’t–in the style of our times–what would be called “in your face.” Yet, would anyone dare say Mandela lacked power, strength, passion, or conviction? 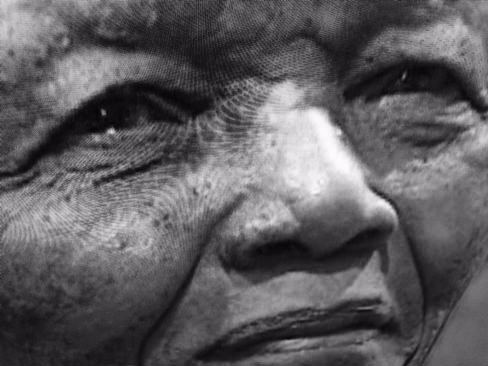 A boxer in his youth, Mandela knew when and how to fight. He also knew when to come together to reconcile. Who else could spend 27 years in prison and not harbor the kind of resentment that could end a dream? Who else could come out of prison and, in freedom, choose willingly to work with one’s enemies toward a common goal of democracy? To me, that was the political genius of Mandela. The man was no saint. But he knew that loving your enemies was perhaps even more powerful than hating them. That’s a lesson you would expect from a man of greatness, one who towers over all in life, and who in death shall live on as a great spirit, an inspiration to all who keep up the fight for freedom and justice for all.